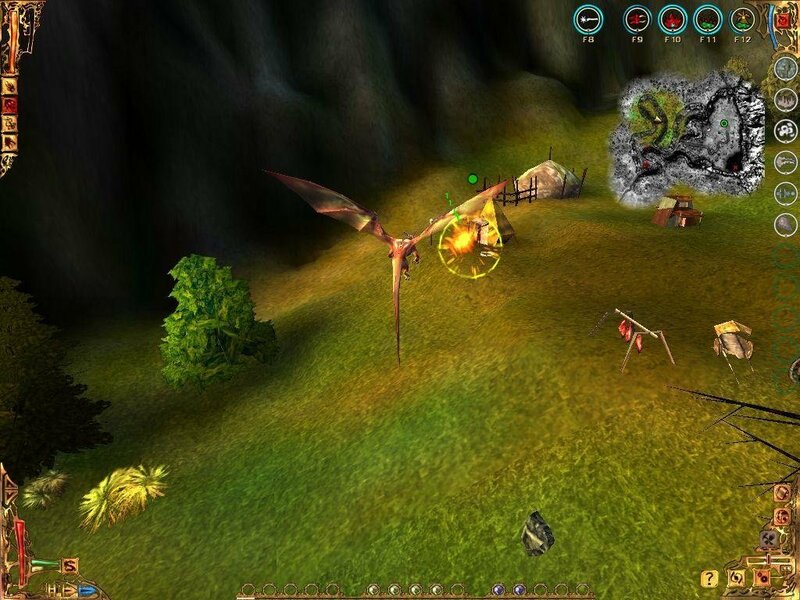 I of the Dragon is a 3D action role-playing game where you play as a dragon instead of a conventional character. 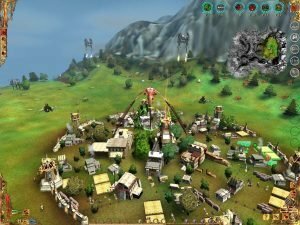 Flying dragons is something you don’t usually see in games (Drakan: Order of the Flame is an exception), so immediately we’re off to a novel premise. Alas, I of the Dragon is very much a small studio effort with budget graphics. 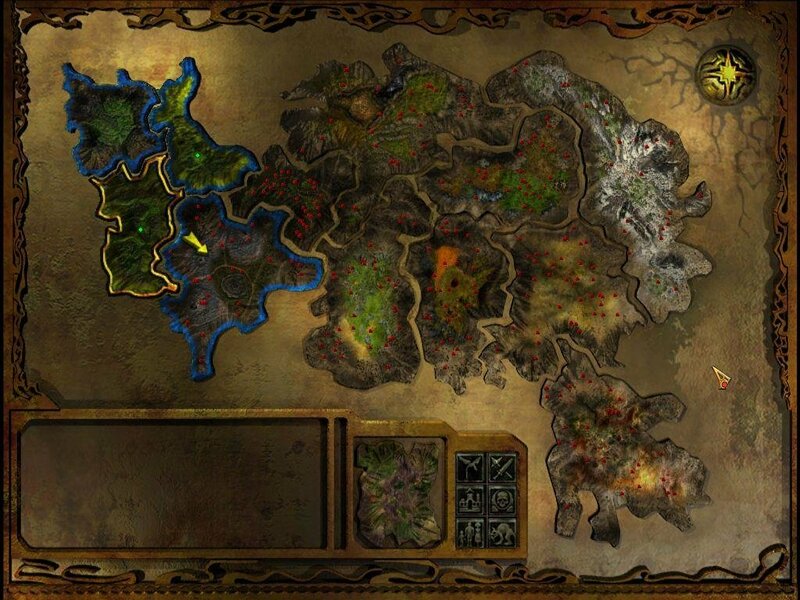 As in any ARPG, you can select one of three starting characters – Barroth the Magician, Morrogh the Necromancer and Annoth the Fire Breather. They’re the stereotypical fighter, mage and crossbreed classes. The first dragon is a magic master and he’ll use it a lot in order to resist during fights or for extending his natural abilities (becoming invisible, flying faster, of course, for a limited period of time). Life and regeneration are his weak spots so you’ll have to take great care of him if you choose to play with this dragon. The fire power is another negative aspect, as you’ll have to use spells instead and more evasion tactics. Sometimes you’ll need to back-off too but on the other hand Barroth’s speed is the highest one, so there’s not going to any problems when running away. In fact, the first part of the game with such a character is very difficult and not recommended to beginners. 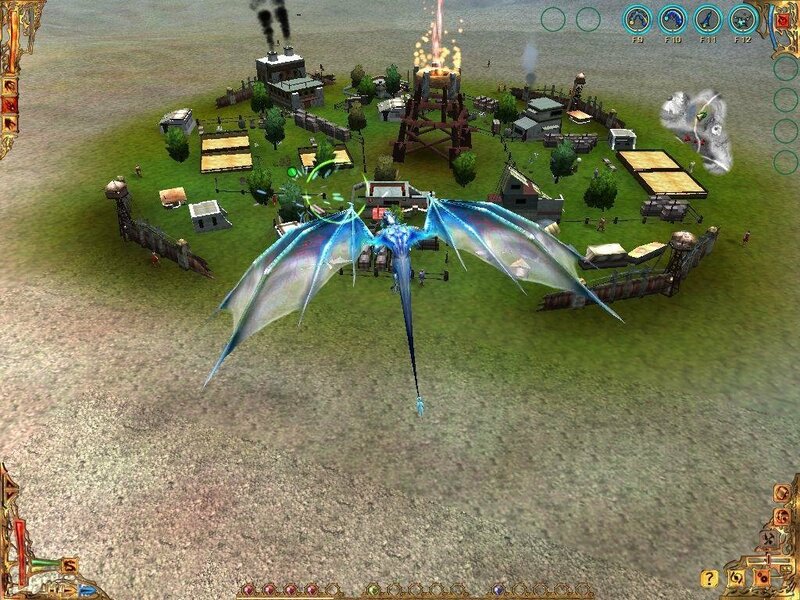 Each dragon has six attributes: Fly Speed, Life, Regeneration, Fire Power, Breath Capacity and Mana Inflow. 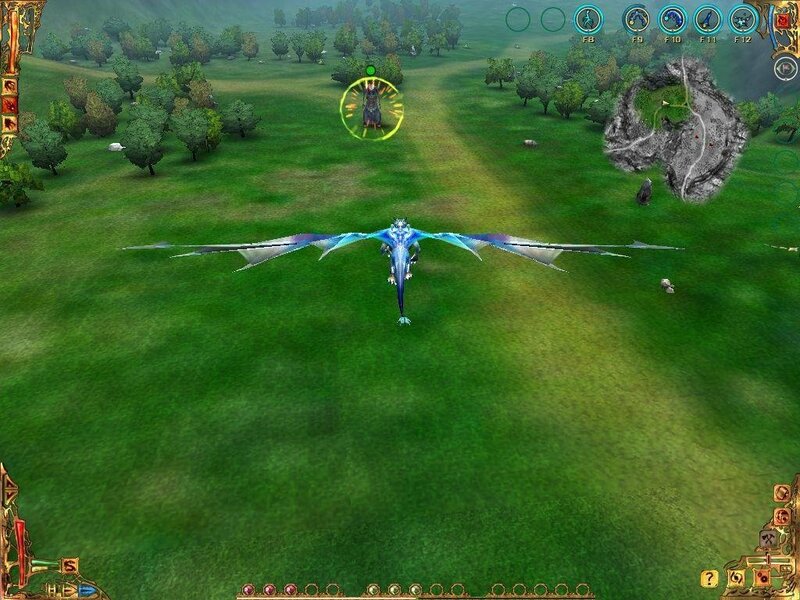 Fly Speed is not just about fly speed but the dragon possibility of avoiding the ranged attacks. He cannot dodge (he’s in the air, doh) so he must be able to glide to left or right very quickly. The camera is mouse controlled while for fly direction you’ll have to use the keys. It will seem a little bit difficult in the beginning but you’ll be able to fly over monsters and breathe fire in no time. Life means how much damage can a dragon resist and regeneration establishes the speed life is regained. There’s also a pretty clear distinction between Fire Power and Breath Capacity. The first one refers to the power of the attack, while the second attribute to the number of consecutive attacks possible. If Breath Capacity reaches zero you cannot use this kind of attack any more and you’ll have to rely on spells. 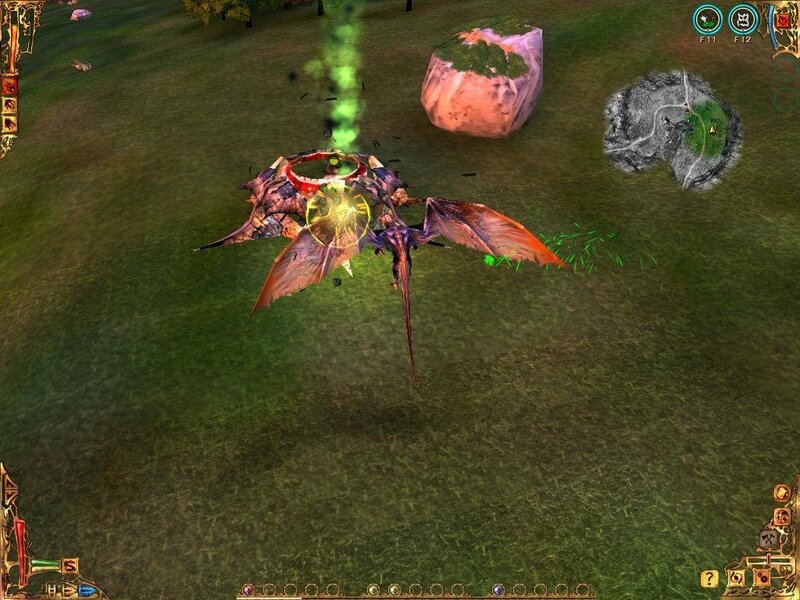 The action in this Action RPG is far from a simple, mindless click-fest. 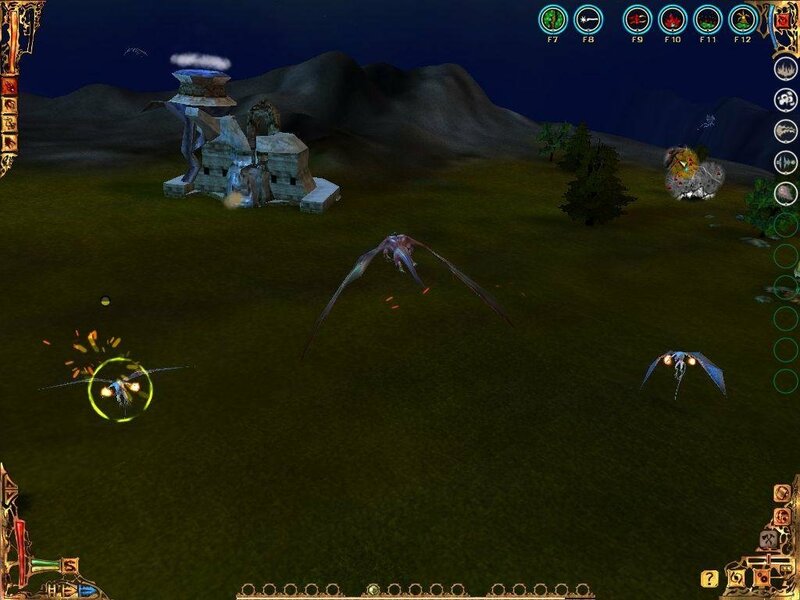 To overcome the more powerful enemies you’ll have to dodge their attacks and use your power of flight (you’ll have to realize you have an additional dimension of movement available to you that you wouldn’t ordinarily have as a human hero), switch between various fire weapons at your disposal as well as use the spells effectively. In that sense the game feels a lot more like a good tactical RTS than an Action RPG, which is truly a unique and welcomed addition. 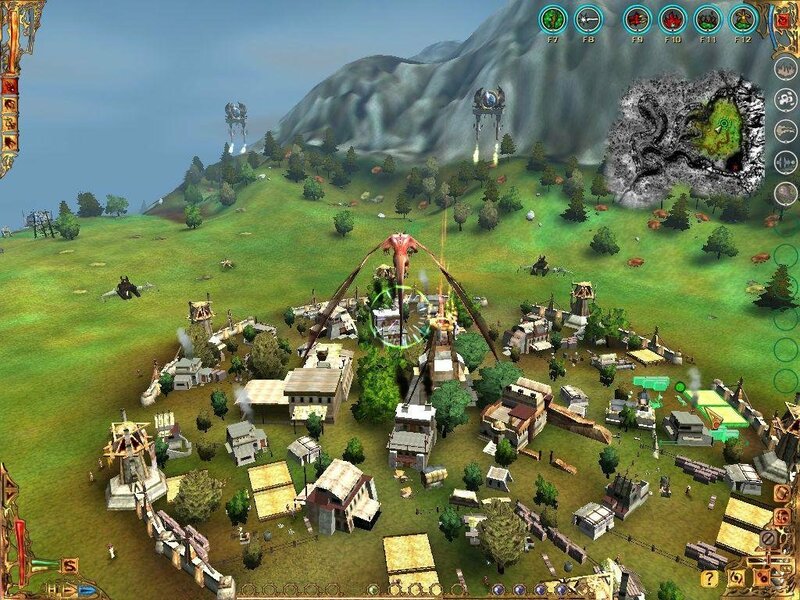 Another unique aspect of the game is the town building and leveling, which make I of the Dragon feel even more like a tactical RTS. Granted, the town building aspect isn’t as complex as in any mainstream RTS. There is no kind of management of the town or its inhabitants as the only thing you can do is protect it and upgrade it. Basically, the magicians transform the creatures you kill in energy and when it reaches a certain level the upgrade option becomes available. Sometimes, cities you’ve built in other regions are attacked, and you must defend them. Usually, cities can do this as well but your intervention can balance out a battle. The interface is very polished and the game does a great job of easing you into the gameplay mechanics before the real fun starts. Not to mention that being a dragon gives you a special sense of freedom – freedom to soar across the skies and swoop down on the puny foot soldiers. Just this idea alone, which hasn’t been seen all that often in gaming, is enough to make I of the Dragon an interesting distraction.